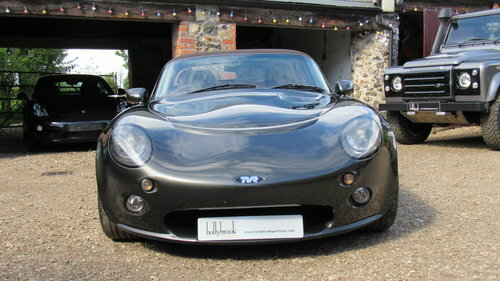 A unique opportunity to purchase a low mileage, refurbished mark 2 Tvr Tamora, which has only had 2 owners from new. 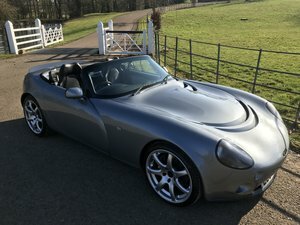 This particular car was re-furbished for one of the directors of Hollybrook who has personally owned several Tvr's, and wanted to make this example something special. 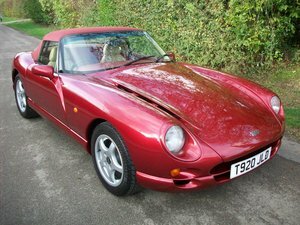 - Complete repaint of the bodywork which included door checks, boot check and in around the engine bay to a very high standard in highland pearl (Tvr colour). 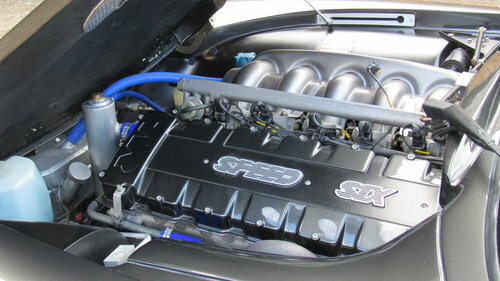 This work also included the repainting of the rocker covers and new silicone hoses fitted. 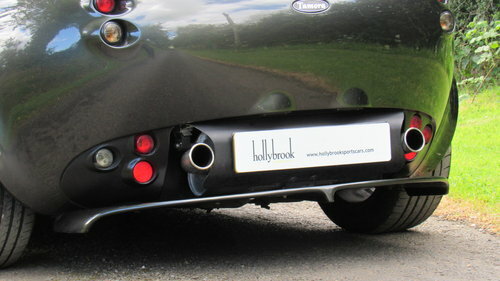 The paintwork was also protected by a smart skin, covering complete front end, bonnet, wings, Qtr's of the door, Qtr panel and the key areas of the rear splitter. 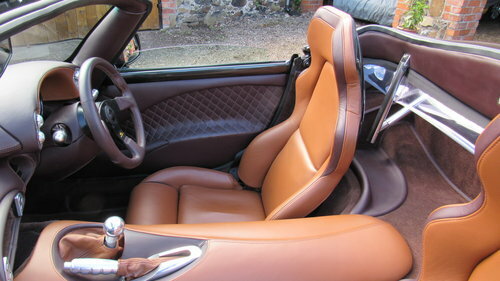 - The complete interior re-trimmed in full hide which also included new carpets, a new roof, new plastic rear screen, new boot carpet, new gear knob and re-painted seat backs. - Re-furbished wheels with new Yokohama tyres. 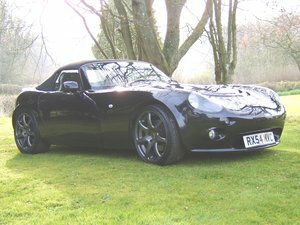 2016 refurbishment process it had a £2,500 service through the respected Tvr specialist Torque flyte, which included new front and rear springs & dampers. Total cost of refurbishment approx £20k. 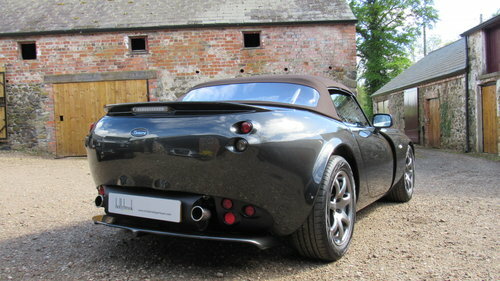 This car has completed approx 3500 miles since the initial refurbishment and has just had a full service completed. 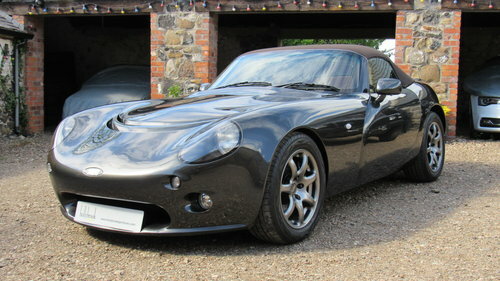 TVR Cerbera Speed Six. Finished in Antigua Blue with Portland Grey Interior. 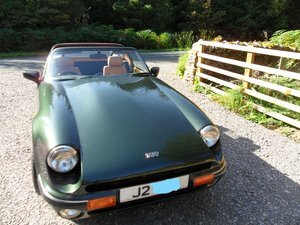 This is a two owner car with 13 Stamps in the book, all done by TVR Central, Castle TVR, Topcats, Austec and lastly by Mole Valley. The car has a very comprehensive file with a lot of history.